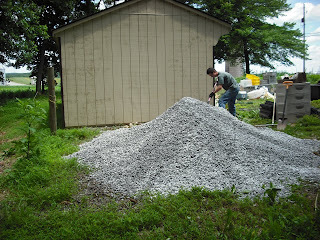 A load of stone was delivered for the new outside post harvest wash area. No more mud holes! 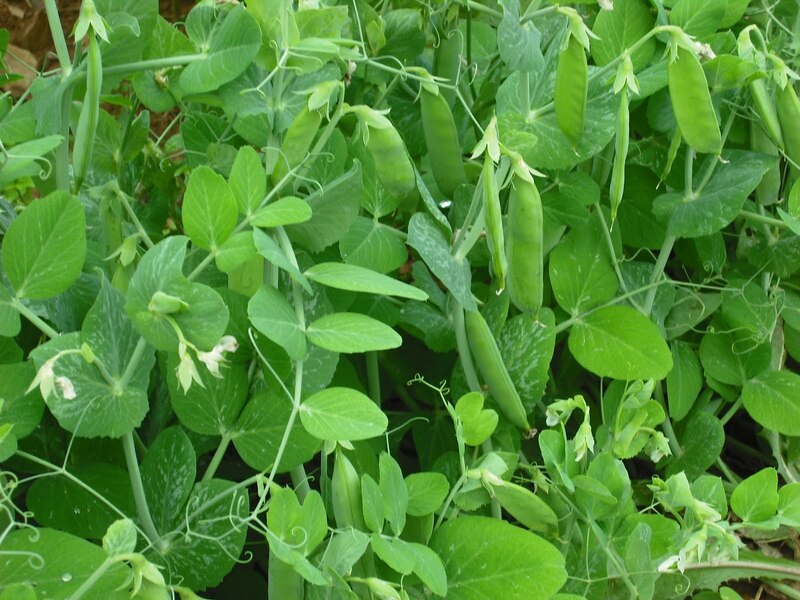 Early Freezer peas are in shares this week. 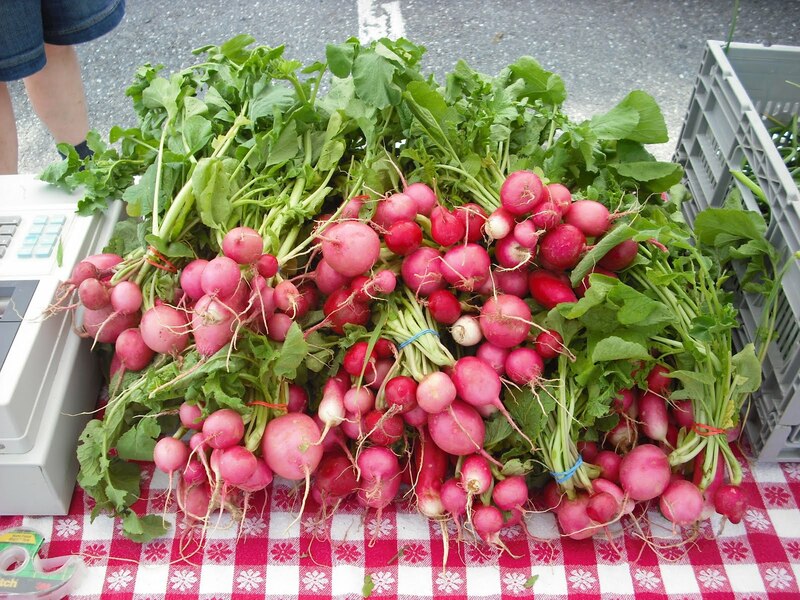 They are short vined, prolific and tasty. 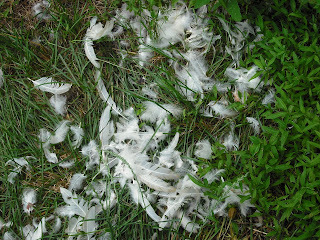 A chicken was killed while we were out for a few hours, this being the second loss. 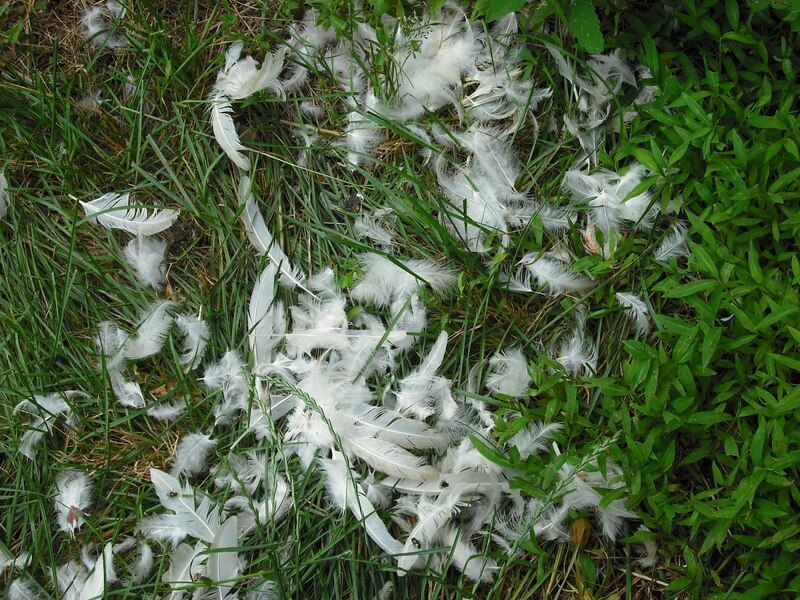 The attacker left only feathers. 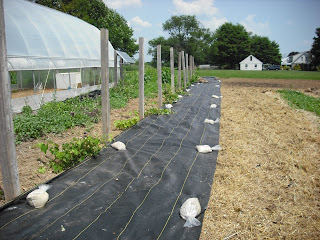 I put up electric poultry netting but the birds feathers act as insulators. They need to grow larger to keep from slipping through the net. 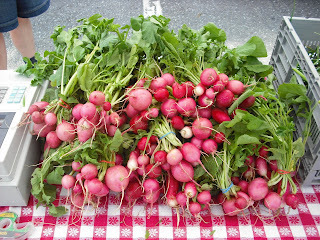 Last week at market for radishes. 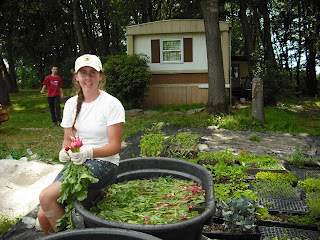 Their bed has already been replanted to salad mix. 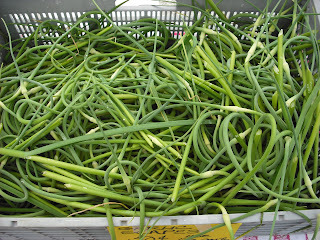 Garlic scapes, which at 50 cents each, folks complained were too costly! Let them bend over in 93 degree weather and clip each one. Emily washing and bunching radishes. War on weeds, part 1! Black groundcloth to suppress tenacious Canadian Thistle. 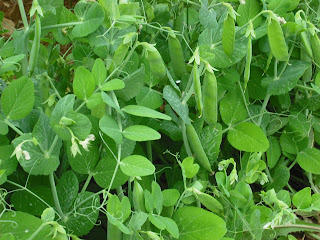 We are over run with these horrors in one section of our plot. Thick rye cover crop did not make a dent in this enemy. I am hoping groundcloth will kill the intruder. Any suggestions? one week after this photo the uncovered chopped rye on the right is a living thistle carpet!